San Francisco Corporate Housing: It's Going to be Crammed! Intern Season In San Francisco – It’s Going to Be Crammed in Corporate Housing! San Francisco is a busy city at the best of times, but when the intern season gets going you will really know about it. All of those interns and Co-op employees coming into the city for their summer programs mean that it is very difficult to find anywhere to stay – unless you happen to be in the know as we are at Key Housing Connections. That’s the magic word – “Connections” – and we have loads of them. Our job is finding the right San Francisco short term rentals to suit people coming to the city on business and needing to stay for a couple of weeks, a couple of months, or even a year. However, we have been doing this for over 20 years and have got to the point where our list of connections is almost endless. 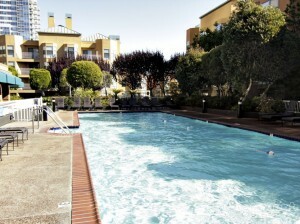 We have San Francisco short term rentals on our books that you just won’t find anywhere else – even if you Google it. The reason for that is that we have been providing corporate housing and apartments for such a long time that our building owners simply don’t bother advertising or going anywhere else because they know that we will keep their properties filled for most of the year. So it’s a win-win situation. They get rental income on an ongoing basis, and as a visitor needing San Francisco short term rentals we can give you the widest choice of different types of properties, whatever your needs. We’ll find you the right place when others can’t. Getting us to fill your short term needs is just so much simpler than trying to do it by yourself. We know the city inside out, so we can find your ideal home or apartment wherever you need to be. Very often, we are able to provide accommodation within a few minutes’ walk of your office which is so much better than having an hour’s commute across a strange city to get to work. Actually, it’s better than having an hour’s commute – period! Maybe you want to be near to the shops or perhaps near to the park so that you can take your dog for a walk. We have properties all over the city so there is bound to be one that is just the perfect fit for you. Whatever your needs, just make a list of everything that you want and either give us a call on 800-989-0410 or click on the Contact Us link at the top of the page. Then you can click on the “email us” link on that page and tell us exactly what you need, when you need it, your budget, and anything else. Trust Key Housing Connections to find your dream home! This entry was posted in Corporate Housing and tagged San Francisco, San Francisco Corporate Housing, San Francisco Furnished Rentals on June 17, 2017 by Lee McDonald.